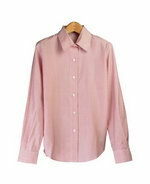 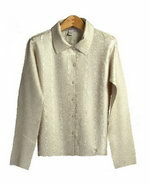 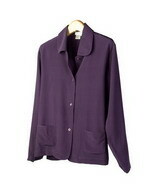 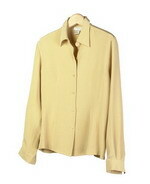 Women's polyester washable shirt blouse in V-neck 3/4 sleeve crinkle textured style. 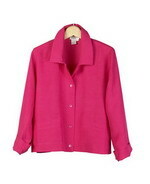 Ladies' washable 100% silk shirt, jacket, blazer, tunic blouse, dress shirt, tank top, vest, sleeveless shell, skirt, pull-on pants & trousers. 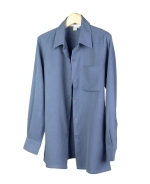 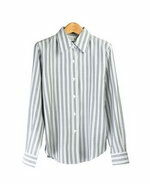 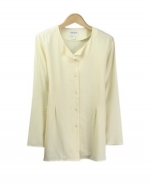 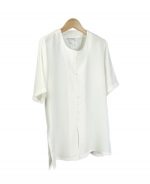 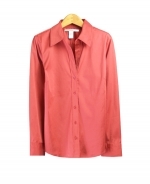 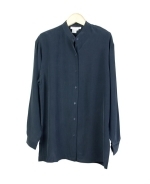 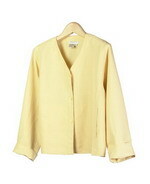 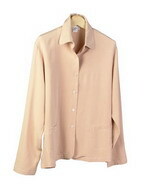 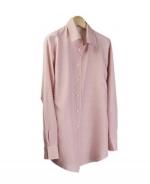 Silk shirts are in V-neck and jewel neck styles. 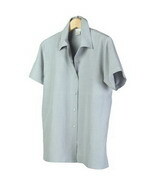 Sizes S(4) to Plus Size 1X(16W-18W) are available.